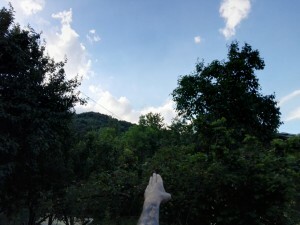 45 days later, the Italian Air Force released a new and different version about the lights and loud air noises that alerted the inhabitants of Corio and other towns in Malone Valley (province of Turin) on June 6 evening, as we have already reported. At first, spokesmen of the Air Force Public Information Office in Rome told newspapers there were no military planes in flight, except “a Tornado training at a very high altitude, even higher than usual. None of our aircraft has flown over the area of ​​Corio at low altitude and we rule out that it might be an experimental aircraft” (as reported by Claudio Neve in Cronaca Qui daily newspaper). Or even: “The only plane training in the Turin area, at about 5 thousand meters of altitude, was a Tornado, as verified on the radar. 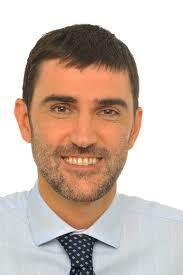 So it certainly has not passed just over the roofs of the houses” (Gianni Giacomino in La Stampa). Thus, easy and unwarranted ironies followed on the dozens of people who had instead witnessed they had heard a loud and growing rumble shaking house windows and walls, and dozens outdoors or having had time to run outside who had seen what most called two military planes. Then two parliamentary questions were announced and presented by the honorable Francesca Bonomo to the Chamber of Deputies and by Mauro Marino to the Senate, and an inquiry was started by Public Attorney in Ivrea, Giuseppe Ferrando, announcing on June 12 that he had opened a file, charging the Carabinieri [Italian Gendarmerie] of the Venaria station to ask Air Force top echelons what had happened “with the only purpose of clarifying, if necessary, the whole affair”. As of now, no answer has yet come from the Ministry of Defense to the Parliamentary questions, but on July 21 the Public Attorney in Ivrea said that the Air Force had responded to him admitting that yes, on that night there were two aircraft military above Corio, for sake of precision two Tornados engaged in an exercise. Even the roar was real and was caused by an unspecified “technical trouble” causing “an abnormal noise”. No reference, however, to the strong white light, first in slow motion, then stopping above the ridge, finally disappeared at the arrival of the fighters. But that was enough for newspapers and websites to title “UFO Mystery Explained“, “No UFOs, those were Tornados“ or even “Air Force Denies UFO Presence“, when the military said nothing about the first white light (the real UFO of this story) and, if the Air Force denied something, they denied their own previous statements. While the Attorney is going on with his investigations and members of Italian Parliament are waiting for the Government to say something, it is just the case to point out that, once again, eyewitness were shown to be serious and reliable. 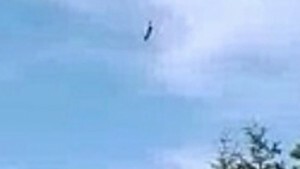 It was not a “hoax” but a sincere and precise description of what was actually there in the sky: two noisy military aircrafts at low altitude. Starting from this first and important fact, we are now waiting to have access to the details the Air Force wrote down in order to try and understand if it was really an exercise, a training flight or some other air operation, as yet unclear. And we keep wondering what the other light was. As we have said since the first moment, that does not mean to endorse fantasy or SF-like hypotheses, but just to look for an explanation of what happened, with an open and rational mind. 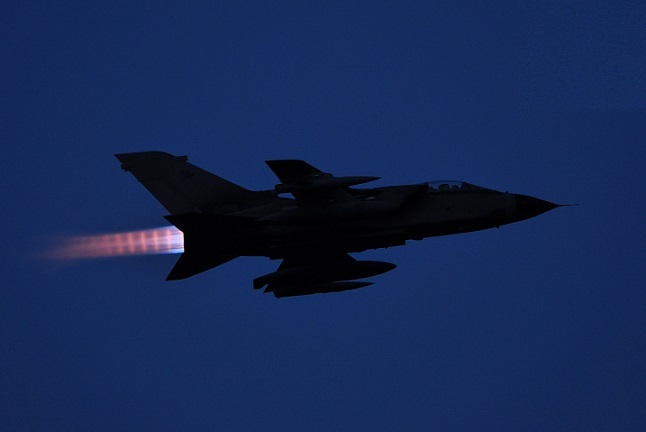 – a night flying Tornado (source: N.S.M.). Xavier Passot‘s book has now been published, about his five years direction of GEIPAN (Groupe d’études et d’information sur les phénomènes aérospatiaux non identifiés), the UFO sightings collection and analysis office within French “Center National d’Etudes Spatiales” (CNES), the only non-military government UFO office active for over 40 years all over the world. 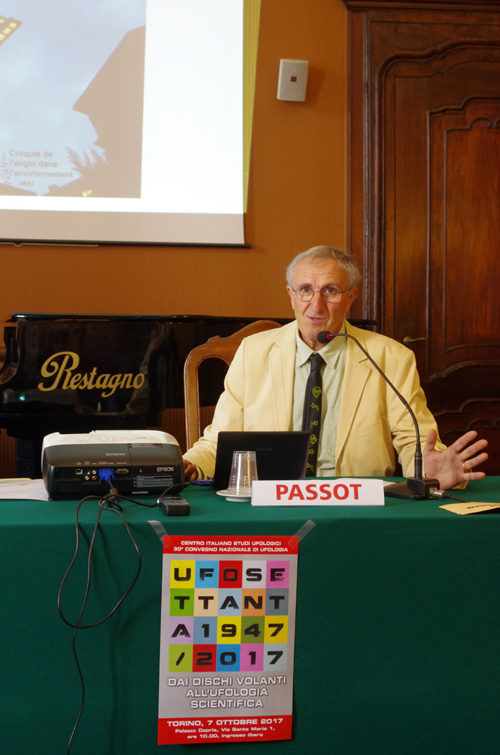 We have often written about GEIPAN, and Mr. Passot himself was a guest and speaker at CISU national conference in Torino, in October 2017, where he presented us his experience in such unique position as an “official ufologist”. 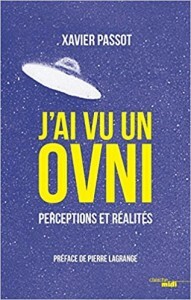 The book is titled “J’ai vu un OVNI: Perceptions et réalités” (“I saw a UFO: Perceptions and Realities”, Cherche Midi Pub., 142 pages), with a foreword by sociologist Pierre Lagrange. 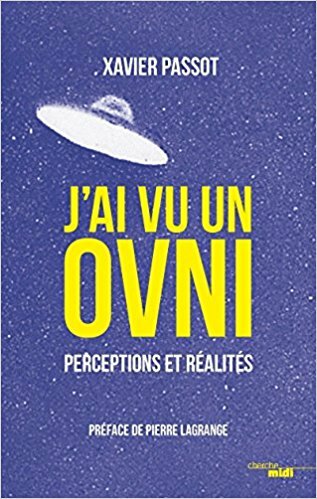 It is not the first book written by a former GEIPAN director: he was preceded by Jean-Jacques Velasco (“Ovnis: La science avance”, 1993; “Ovnis: L’évidence”, 2004 ) and Jacques Patenet (in the collective book “Phénomènes aérospatiaux non identifiés, un défi à la Science”, 2007). In fact each director of the GEPAN (later renamed SEPRA, finally GEIPAN) has given his own mark to that office, and it is therefore interesting to know each one’s perception “from within”. Following on the footprints of his predecessor Jacques Patenet, Passot’s years marked the phase of GEIPAN’s maximum openness both to the public (with the gradual publication of its whole archive of UFO reports) and to private ufologists (at least to those of scientific orientation), culminating with the Paris congress CAIPAN (Collecte et l’Analyze des Informations sur les Phénomènes Aérospatiaux Non-identifiés) in July 2014. The book is not addressed to ufologists but to a general public, it is written in simple language, with a pedagogical intent, and is divided into three parts. The first section (“GEIPAN Files”) reports a dozen significant case histories investigated, also reporting the conclusions where it was possible to reach one. 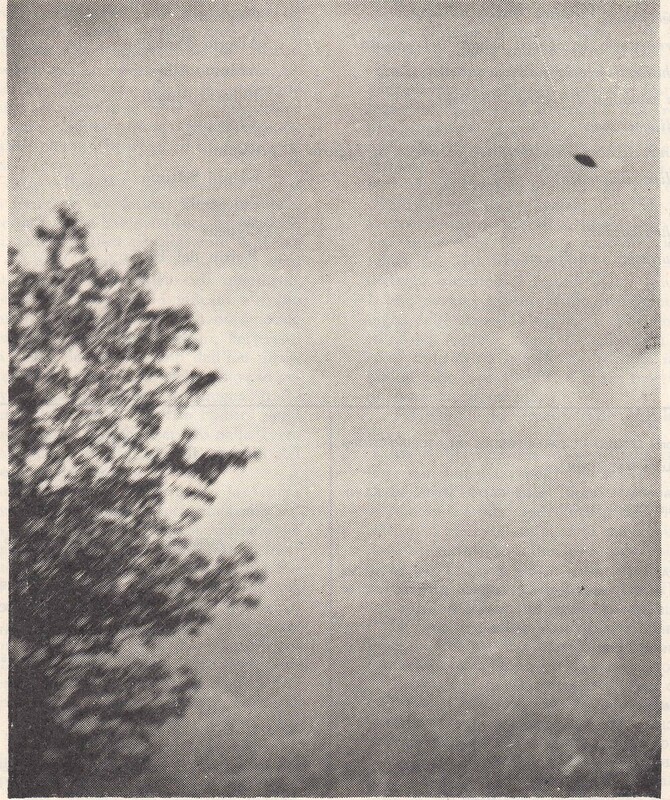 In the second part (“Investigation Complements”) the author delves into the complexity of UFO investigation, by quickly reviewing conceptual components of the problem: what is (and can be seen) in the sky, the weight of cultural factors, the role of the witness at the heart of the investigation, the concept of evidence and the role of photographs, the role of the investigator. The third section (“The UFO Challenge”) examines the most widespread interpretative hypotheses, the interaction with the tools of science, the relationship with the mass media, the aspects related to defense, the role of beliefs. The book ends with a chapter of conclusions, a critical analysis of the “COMETA Report” and an annotated essential bibliography. If Passot’s purpose was to resume his five years in chair of GEIPAN and report his personal experience in the UFO world, even if brief his text makes an effective synthesis of the UFO problem and of its study today. Veteran Spanish ufology Ignacio Darnaude Rojas-Marcos died in Sevilla on June 26, 2018. He was born on January 18, 1931 and had been actively interested in the UFO subject since the second half of the ’50s, collecting a huge documentation and writing hundreds of articles and papers, most of them unpublished and only circulated by letter. Since the 1960s, in order to overcome difficulties in duplication, he created an original way of exchanging documents (clippings, letters, reports, comments) by photographic reproductions he sent copy of to a worldwide network of correspondents. He was among the first Spanish collaborators of UFO organizations and magazines such as APRO, NICAP, Flying Saucer Review, Lumiéres dans la nuit. Son of his time, he was certainly not an exponent of the scientific branch of ufology. By his own admission, he was rather interested in the philosophical aspects of the extraterrestrial contact” concept (which he himself called “transufology”). 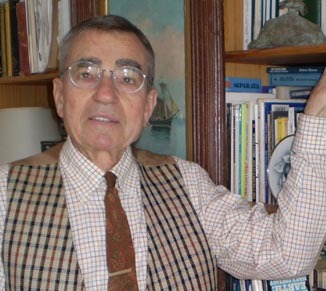 Since the ’70s, Darnaude was also an avid collector of all that concerned the “Ummo affair” (the letters a so-called group of extraterrestrials would send to numerous UFO students, especially Spanish ones, describing their world, science and technical know-how), creating a monumental 1,500-page catalog, the UmmoCat. In the new millennium, he became fond of the Internet he published on his own website a large part of the documentation he had collected on the UFO topic (about 13,000 pages), between 2006 and 2015. In the same period, he began to write books to organically collect his reflections of over 60 years (“El principle de elusividad cósmica”, “Libros revelados y síndrome contacto ET”, “El desafío extraterrestre en el siglo XXI”), books that constitute his spiritual testament, well summarized in the interview given to ufologists José Juan Montejo and David Cuevas in 2014. The parliamentary question announced last week by Hon. 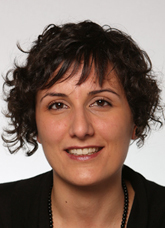 Francesca Bonomo [left picture] was presented to the Chamber of Deputies on Monday 18 June, about the aerial roar and the testimonies concerning two low-altitude military aircrafts in the Corio area (province of Turin) seemingly pursuing a light in the sky on June 6, as we already reported. The question gives a wrong time of the phenomenon (which actually took place shortly before 11 p.m., not 9 p.m.), from which we can assume the text was not based on the testimonies reported on social networks and local mass media, but on the press release itself (released by ANSA news agency on June 10 evening) announcing the intention to present a parliamentary question by Hon. 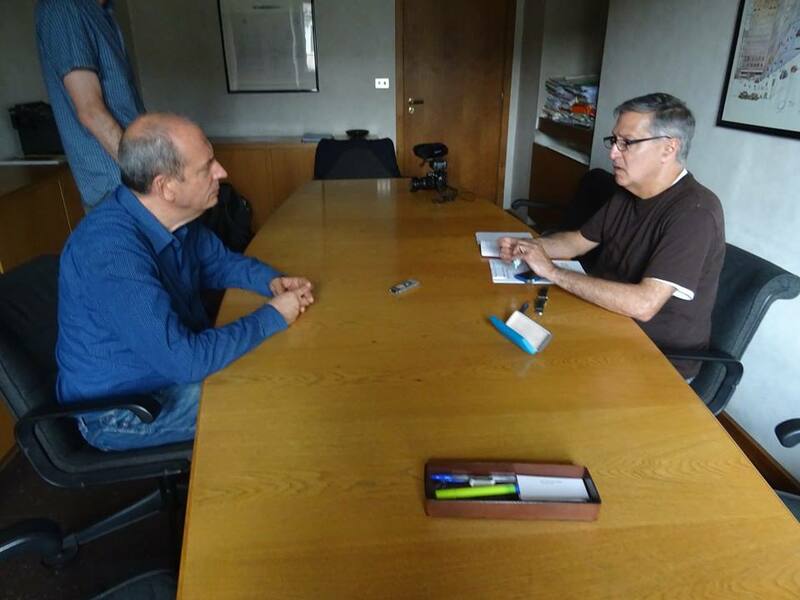 Bonomo and Senator Mauro Marino (both elected in Piedmont for the Democratic Party). When mass media publish sensational sightings, other witnesses often come forward to report more. That’s now happening in Piedmont region (Italy) in the wake of what happened in Corio on June 6, where dozens of people saw a light in the sky seemingly pursued by two military planes: in addition to the usual trail of rumors, hypotheses and denials, a series of sighting reports followed in the previous or following days from different areas in that region. The first testimony dates back to the evening of Saturday, June 2, around 21.30, when a woman at Torino Olympic Stadium for Vasco Rossi’s concert watched a round not well defined object with white-blue reflections moving slowly northward in the clear sky for a couple of minutes. 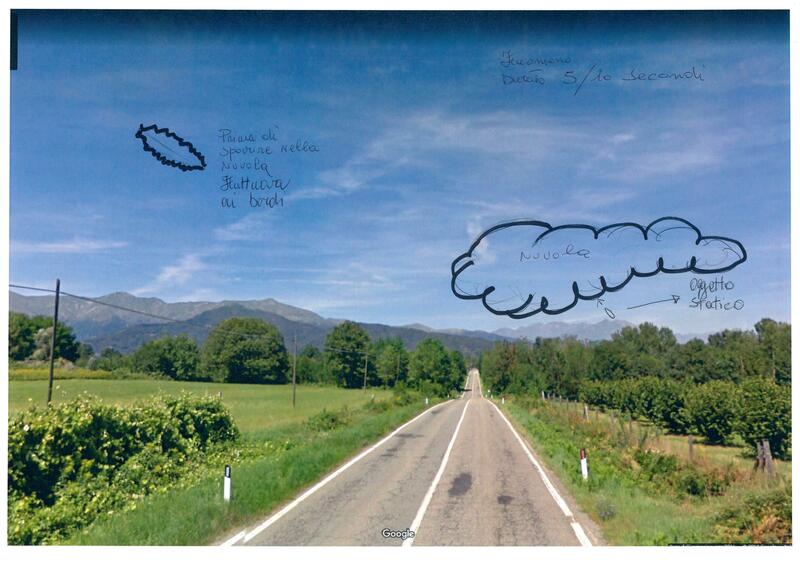 On the following day, June 3, an employee driving back home for lunch in Nole (province of Turin) noticed a bright lens-shaped object in the partly cloudy sky. 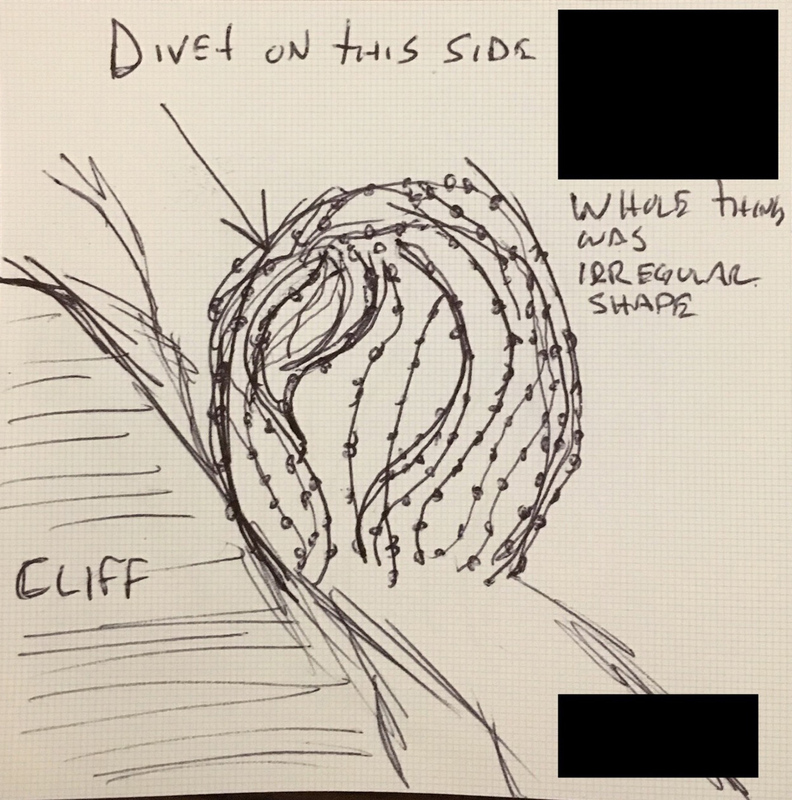 It was inclined at 45°, oscillated for a few seconds, then sped up disappearing into a cloud [see drawing by the witness in the above photo]. 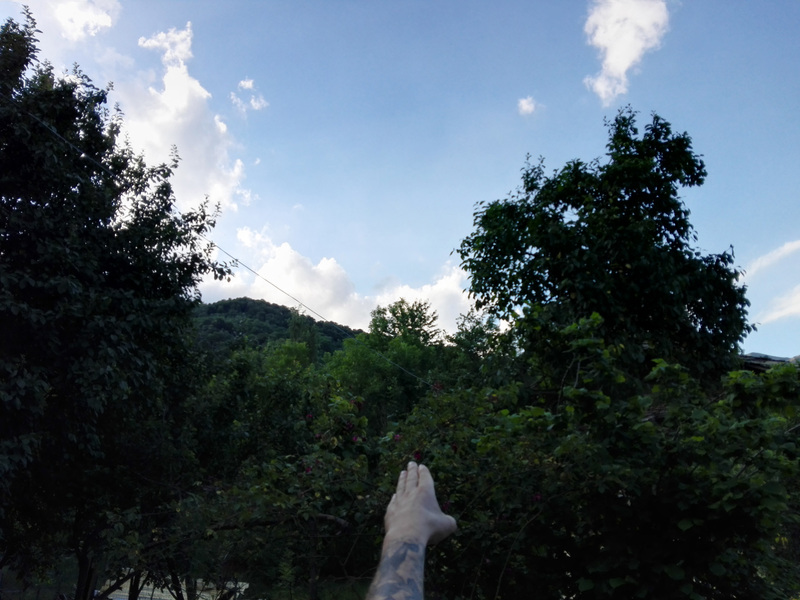 Two reports came from Saturday, June 9: what was described as “a flying man” was reportedly photographed by a tourist in Dormelletto (Novara) [picture here on the left], while five black dots moving slowly in the sky were filmed in Banchette d’Ivrea (Torino) shortly after 9 p.m.
A few hours later, at 2.20 a.m. on Sunday, June 10, a motorist traveling along the state road near San Germano Vercellese (Vercelli) found himself passing under a bright yellow and blue disc hovering above the road. In UFO jargon, we speak of flaps to indicate these concentrations of sightings in a certain area and in a limited period of time. In the past it was thought that they indicated a real increased presence of UFO phenomena, while now the prevalent opinion is instead that otìs the emergence of a greater percentage of “hidden sightings”: on the basis of Doxa poll data, indeed, there should be over 3 million Italians who think they have seen a UFO, compared to about 30 thousand reports collected and cataloged by ufologists, meaning just the 1% of the total. 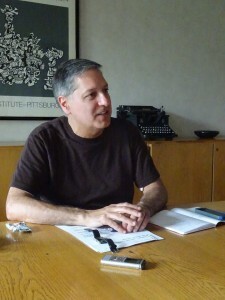 Greg Eghigian is a historian of human sciences and a professor of Modern History at Pennsylvania State University, with a known interest in ufology. For over a year he has been working on a research project on a global history of the UFO subject with particular regard to the evolution of UFO sightings phenomenon and of its study. 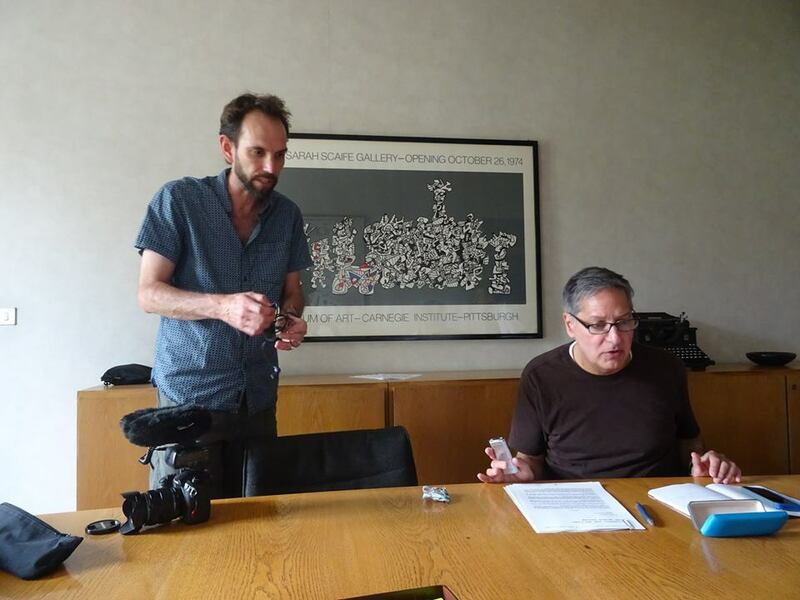 His usual summer tour in the old continent was therefore an opportunity for a visit to Italy, with his colleague Richard Sherman (who’s teaching video making at the same university and is collaborating on the historiographical project with a documentary). 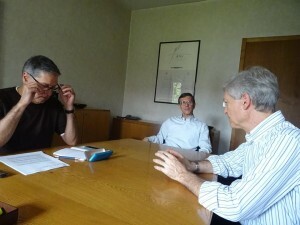 On June 11, Eghigian and Sherman arrived in Torino, specifically to meet and interview some CISU members and to visit Italian Center for UFO Studies headquarters and archives (the second largest in Europe). American researchers’ Italian day has been articulated in three different moments. 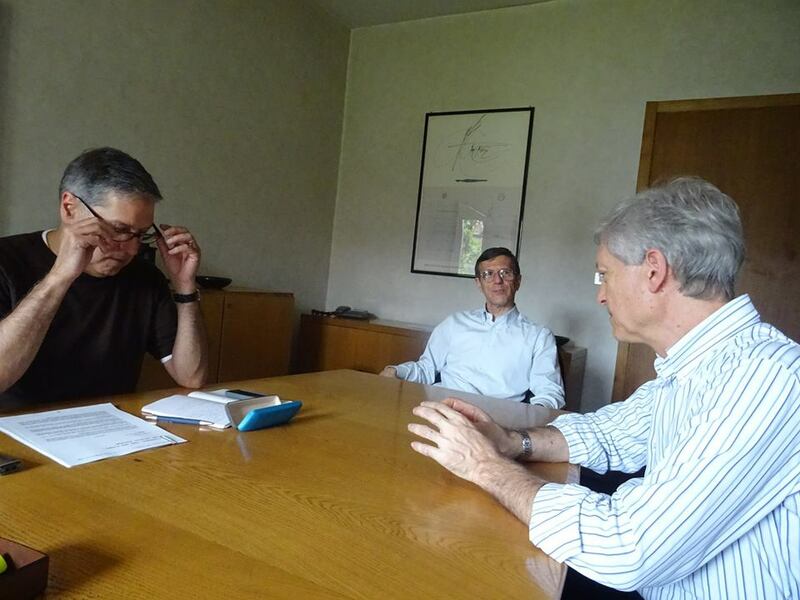 In a first part, the stories and personal evolution of a few CISU members (Paolo Toselli, Paolo Fiorino, Edoardo Russo) were collected as video interviews, with an exchange of opinions on the past and future of ufology – which highlighted strong philosophical affinities. 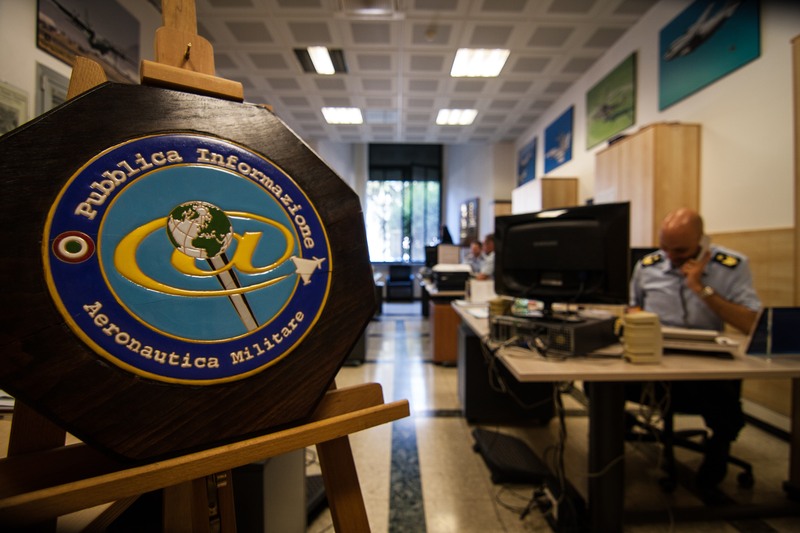 A second part consisted of a general overview of the history of Italian ufology, followed by a guided tour of the CISU Archives, which amazed our visitors from overseas for the quantity and quality of the collected and organized documentation. The meeting was also the starting point for identifying specific areas of collaboration, with particular regard to the historiographical aspects, which our association is particularly and actively interested in. 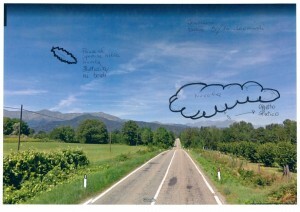 UFO chased by Italian Air Force near Torino? 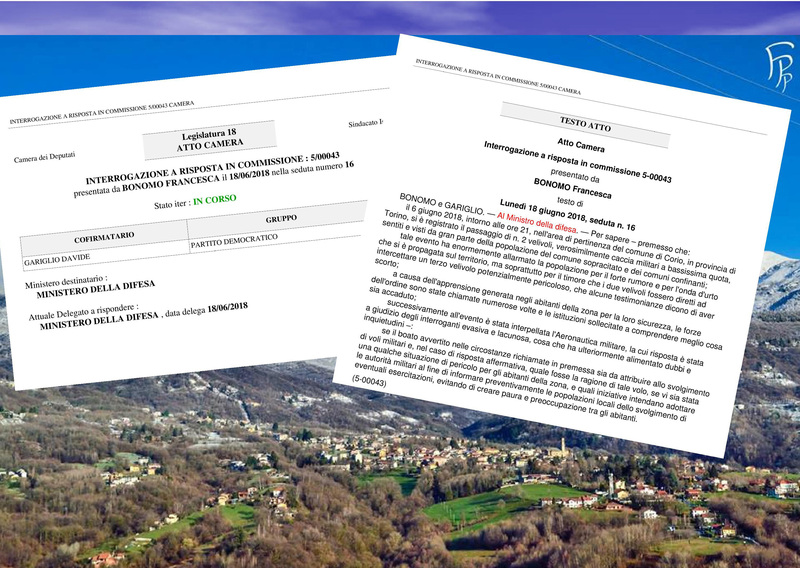 In just three days, news of a light in the Canavese skies passed from local news to a state question. The facts: on Wednesday night, June 6, just before 11 p.m., dozens of residents in the municipalities of Corio, Rocca and Levone (province of Torino) were alarmed by a strong and long roar making windows shake. Most people thought an airplane was about to fall on the houses. Many, who left home or were already outdoors, watched and later described the low-altitude passage of two military planes, seemingly chasing a white light moving in the sky, according to some of the witnesses. 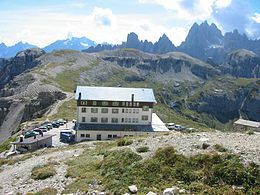 As it is now frequent, testimonies have begun flooding social networks on the following morning, and for the first few days they were reported only by local newspapers (Sentinella del Canavese, Cronaca Qui Torino), while both ENAV (civilian Aviation Administration) and Italian Air Force denied the presence of low-flying aircrafts in the valley at that time. 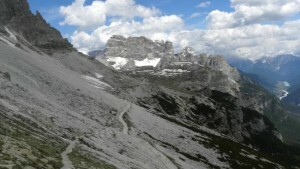 When one of the witnesses went to submit a complaint to the Carabinieri police and two local politicians announced they were to present a Parliamentary question to the Ministry of Defense, however, the news rose to national level, with a national wire ANSA press release on Sunday evening, which got to most newspapers and mass media on the following day. 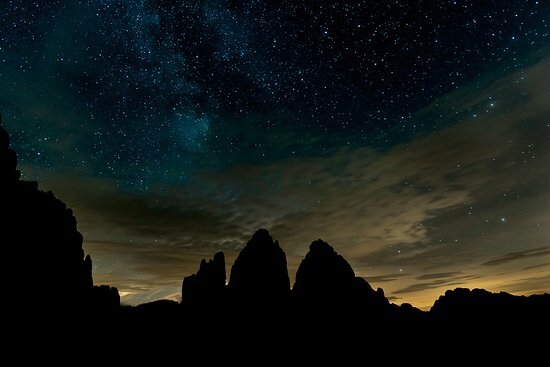 Meanwhile, the Italian Center for UFO Studies (CISU) had opened an investigation, launched a public appeal to witnesses and has so far tracked down and made contact with a dozen eyewitnesses who, in addition to the roar and the planes, have seen the luminous object in the sky. Investigations are still ongoing and it is too early to reach conclusions about the observed phenomenon and the dynamics of the events, before data collection is completed, matching the testimonies and making on place surveys. The CISU is interested in any evidence of unusual objects or aerial phenomena, and always invites witnesses to tell their experiences, granting privacy to them. 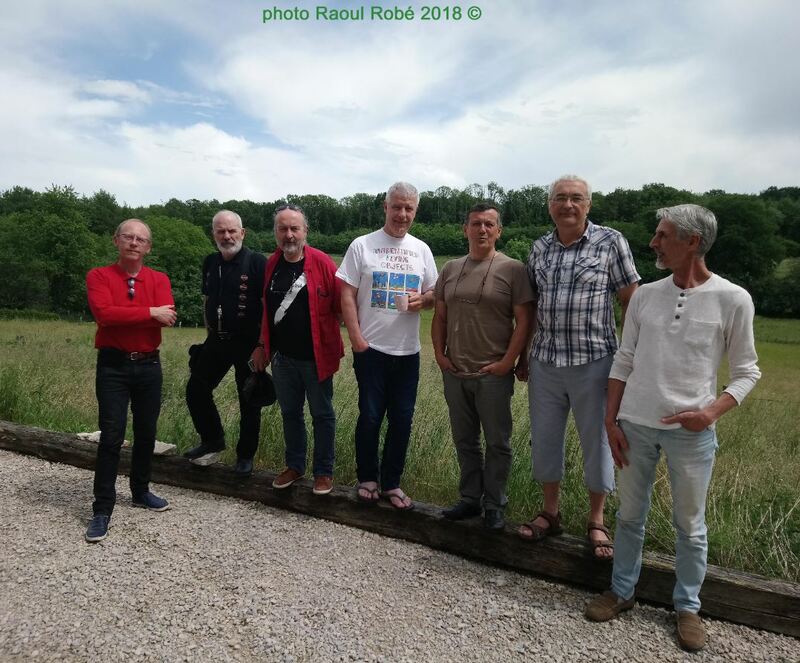 On May last weekend, the Comité Nord-Est des Groupes Ufologiques (CNEGU) celebrated its fortieth anniversary at its 120th quarterly meeting held in Chaux-la-Lotière (near Besançon). CNEGU was indeed create in October 1978 in Nancy, as a federation of UFO associations from north-eastern France and Luxembourg. 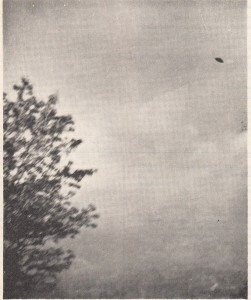 The founding groups were GPUN (Groupe Privé Ufologique Nancéien), CVLDLN (Cercle Vosgien Lumières dans la Nuit), Groupe 5255 (52 = Haute-Marne, 55 = Meuse), CLEU (Commission Luxembourgeoise d’Etudes Ufologiques). Other associations active in that northeastern quadrant of the “Hexagone” joined the committee in later years. Over the years all those groups have disbanded and no longer in activity, but the Comité Nord-Est des Groupes Ufologiques is still well and alive (without a real formal structure) as a committee formed by individual ufologists who survived the dissolution of each one’s groups. Among the main achievements of CNEGU, beside many field investigations, archival research, catalogs and several monographic publications, a special mention goes to the annual magazine Les Mystères de l’Est (published between 1996 and 2012) and the VECA (Voyage d’Etude des Cercles Anglais) initiative to investigate crop circles in the UK. 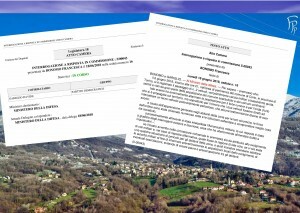 Members of the Committee took part in almost all the most important initiatives of French ufology in these 40 years, from the European coordination (CECRU, EuroUfo) to the establishment of SCEAU (the Association for the Safeguarding and Conservation of UFO Studies and Archives), from the first intervention team on behalf of GEIPAN to the participation in the CAIPAN colloquium, keeping on a serious and real activity, preserving a wealth of skills and experience matured in four decades, based on the commitment and work of dozens of people. In the top picture: the 3rd meeting of CNEGU, held in Luxembourg in May 1979. In the bottom picture: the main activists celebrating CNEGU forty years (from left: Raoul Robé, Michel Piccin, Gilles Durand, Thierry Rocher, Gilles Munsch, Jean-Claude Leroy, Eric Maillot). The doyen of French ufology, Francine Fouéré, died in Paris on May 26, 2018. She had just turned 91 years old. 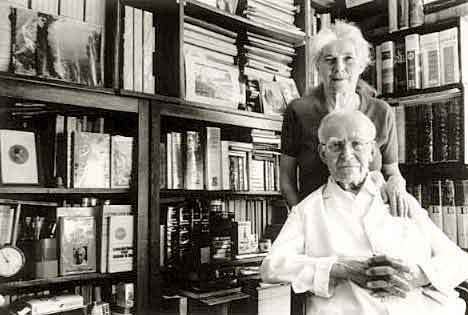 A high school teacher, interested in ufology since 1954, in 1962 she and her husband Réné Fouéré were among the founders of the Groupement d’Etude de Phénomènes Aériens (GEPA), an association of technicians, scientists, military representing for 15 years the main attempt in France to make ufology a scientific study, clearly separating from “flying saucers” sensationalism. For their joined involvement as a married couple in that UFO organization, they were considered “the French Lorenzens“. 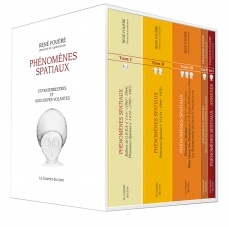 After her husband’s death in 1990, Francine had remained actively engaged in studies on the subject, attending meetings and conferences, editing the re-publication in five volumes of the complete collection (and supplemented by various unpublished articles) of GEPA magazine “Phénomènes spatiaux”, in 2008. 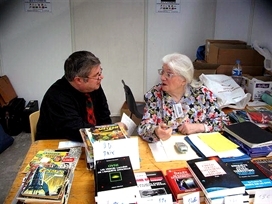 In 1982 I had the opportunity to meet her at GEPA headquarters in Paris, and in 2005 we had the surprise to find her at the Chalons-en-Champagne UFO Congress, where she ran a stand with the old publications of her association [photo SPICA]. An autobiographical interview of her was collected by Gilles Thomas in 2009 and can be heard here.